Taking Our Country Back: The Crafting of Networked Politics from Howard Dean to Barack Obama presents the previously untold history of online Democratic electoral campaigning over the last decade. The book was published by Oxford University Press in August 2012 and is now available on Amazon. I also gave an extended book talk that aired and is available on C-SPAN. You can also read the first chapter online. Drawing on open-ended interviews with more than sixty political staffers, fieldwork during the 2008 primaries and general election, and archival research, the book follows a group of young, technically-skilled Internet staffers who came together on the Howard Dean campaign and created a series of innovations in campaign organization, tools, and practice. After the election, these staffers founded an extraordinary array of consulting firms, training organizations, and pursued work on prominent Democratic campaigns and for the party. In the process, they carried their innovations across Democratic politics and helped orchestrate a number of electoral victories, including Barack Obama’s historic bid for the presidency. 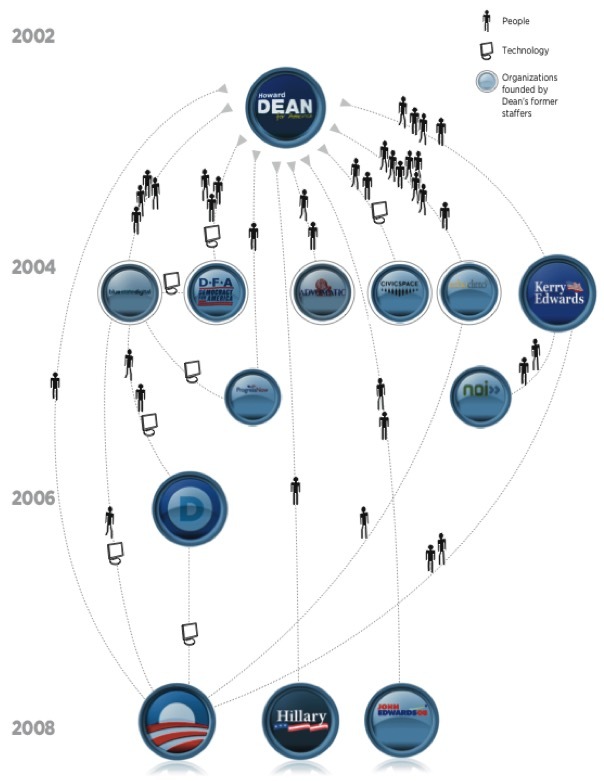 Dean’s former staffers occupied among the most prominent positions in organizations that drove changes in campaign technologies in 2008 and will continue to do so in the years ahead. In revealing this history, the book provides a rich empirical look at the communication tools, electoral practices, and organizational infrastructure that shapes contemporary online campaigning. Through closely detailing the history of new media and political campaigning, the book contributes to an interdisciplinary body of theory from communication, sociology, and political science. The book theorizes processes of innovation in online electoral politics. It shows how the innovations of the Dean campaign were the product of the movement of staffers between industries, an organizational structure that provided a space for technical development, and out-party incentives for experimentation. 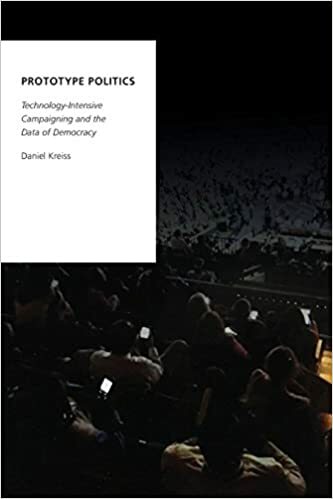 The book also analyzes how staffers diffused, formalized, and standardized the organizing practices and digital tools honed on the Dean campaign through their work with organizational intermediaries that transferred knowledge across electoral cycles and campaigns. The book also shows how organizational contexts shaped the uptake of tools by the Obama campaign and structured opportunities for citizen participation. It analyzes the emergence and centrality of data systems that facilitate electoral coordination at a distance. At the same time, the book shows how cultural work, including the strategic use of rhetoric and design, helps mobilize and motivate supporters to participate in collective action. Answering Your Questions About The Democratic Data Breach » Serving the center of African American culture in the Pacific Northwest!